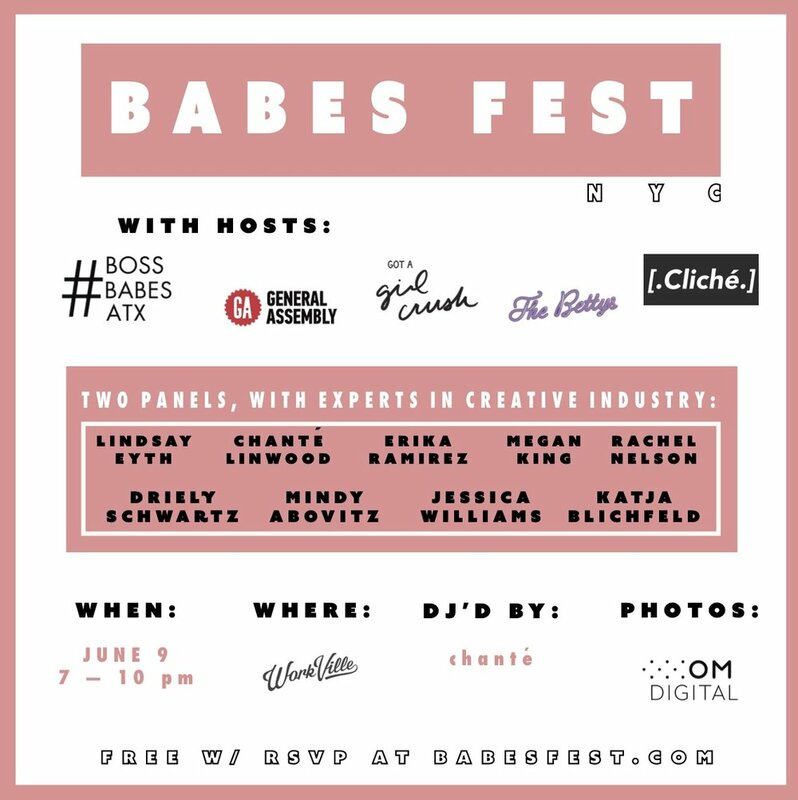 We’re so pleased to be co-hosting this amazing event in collaboration with our pals from Texas #bossbabesATX, hosted at Workville NYC on Thursday, June 9th. A night of conversation and real-life advice about creative career planning, featuring some of our favorites in the biz! The event will begin with two panels - the first discussing sustainable collaboration models in business, and the second looking at ways to overcome stereotypes and barriers in the workplace. Following the talks, we’ll close out with a DJ’d hour of discussion ft. Chanté Linwood, giving attendees time to mingle, check out female-fronted zines, snap some photos in the OM photobooth, and hang out with some of NYC’s up-and-coming women’s collectives. This is event is FREE but get your tickets HERE! See you there!